The Block of the Month Class started in May. This class meets once a month to receive their pattern for one block. 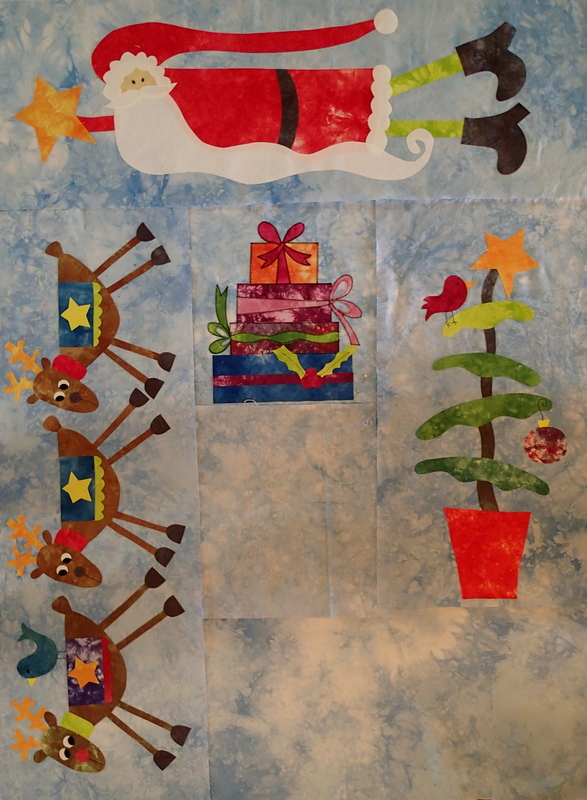 They are about halfway thru their quilt, and below is what their quilts look like so far. Of course, everyone has used a different fabric palette, so there are some differences. They have two more blocks to do, then the borders and then they are done! The class schedule for September – November is really close to being published. So much fun stuff! A few new classes like Copper Ornaments, Sign Painting, Beginner Glass Bead Making. Classes will only run thru the second week of November because after that my crazy, holiday show schedule starts. Be sure to check out the *SHOWS* tab at the top of the page to find out dates for holiday events. ← A Few More Pretties!